Lithuanian aviation holding Small Planet Group, which manages two airlines operating under the same Small Planet Airlines brand in Lithuania and Poland, will base two Airbus A320 aircraft in France this summer. 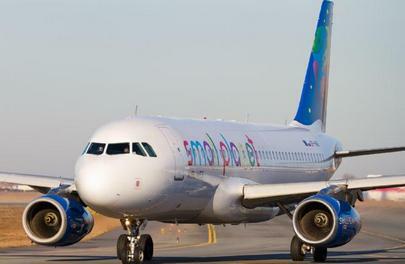 Both aircraft of Small Planet Airlines will be engaged in charter programs for outside customers, head of Small Planet Group’s marketing department Simonas Bartkus, told Russian Aviation Insider. The company has already placed one of its A320s at Paris’s Vatry Airport. The aircraft has been flying to Algiers under an ACMI agreement with a French company Atlas Atlantique Airlines since December of last year. The second A320 will be ferried to Charles de Gaulle Airport in late spring. This aircraft will be operated on charter routes to Mediterranean resort destinations for travel companies in the 2016 summer schedule. The aircraft, which will be based in France, are registered in Lithuania and Poland. They are equipped with 180 seats in economy class. Small Planet Group’s own maintenance stations in Paris airports will be in charge of the aircraft’s line maintenance. Heavy maintenance will be done by the group’s maintenance bases in other countries. At this point, the airline has two Air Operator Certificates issued by both Lithuania and Poland. The group does not pursue the plans for setting up a new operator in France, however, it is working on receiving AOCs in Germany and Thailand, Bartkus noted. “Whereas in Germany we should be able to receive the AOC soon, the Thailand project is delayed because Thai authorities have stopped issuing AOCs at present,” he said. At the end of February, the company, which specializes primarily on charters, announced that direct sales of tickets for its flights would soon be introduced. The opportunity is expected to present itself to the Asian market before the end of the year. Small Planet Group is hopeful that this will help decrease the airlines’ dependence on the seasonality factor. Last year, Small Planet Airlines’ traffic showed 40% YOY growth and reached 1.8 million passengers. In the summer, Small Planet Group is planning to purchase three more aircraft, which will bring its fleet to 21: four Airbus A321s and 17 A320s.